Higher numbers of employers have adopted workplace wellbeing strategies in the past year than in previous years and they are relating them to HR objectives, according to a survey published this week. The report, “Employee Wellbeing Research 2017: The evolution of workplace wellbeing in the UK”, found that 45% of UK companies have a clearly defined wellbeing strategy in place, compared to less than one-third (30%) in 2016. One in five (26%) have had a strategy for more than three years. Over one-third (37%) of respondents said they launched their wellbeing strategy to improve employee engagement, and just over a quarter (26%) said it was to improve organisational culture. Other drivers included improving productivity levels (11%), reducing long- and short-term sickness absence (6% and 5%) and retaining talent (5%). The research, from the Reward & Employee Benefits Association and employee benefits consultancy Punter Southall Health & Protection, found that most employers without a workplace wellbeing strategy intend to introduce one. Almost half (46%) plan to implement a wellbeing strategy in 2017, 24% plan to in the next few years and a quarter (25%) aim to do so in future. 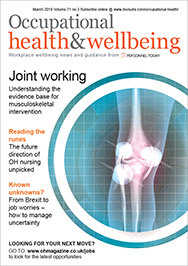 Beate O’Neil, head of wellbeing consulting at Punter Southall Health & Protection said: “The jump in companies promoting employee health and wellbeing to improve their culture and engage employees demonstrates that wellbeing is no longer a ‘nice to have’, but an area of growing strategic importance. The survey finds that 86% of employers are focusing on promoting physical activity and 82% on mental health in their wellbeing strategy. Less emphasis is put on eliminating negative behaviour such as smoking, alcohol use and drug addiction. The top wellbeing initiatives offered by employers are employee assistance programmes (89%), followed by discounted or free gym membership (78%) and health screenings (63%). However, employers and employees have different views on which interventions are the most effective. Employers claim that employee assistance programmes (71%) were the most effective for their business, followed by on-site medical support (66%) and mental health support (56%). Employees favoured free fruit (60%), discounted or free gym membership (42%) and on-site medical support (41%). The number of companies including sleep in their wellbeing strategy is set to double from 42% to 88% this year. The number of companies offering support for carers is also likely to rise from 37% to 83%. The number of respondents offering health and wellbeing apps on smart phones has more than doubled since last year, and they are now offered by almost one in five organisations – up from one in 10 a year ago. The number offering wearable devices has risen, such as pedometers or more advanced GP trackers (14% and 10%). The main methods used to communicate the wellbeing offering are email, intranet and posters and leaflets, while over a quarter of organisations have a dedicated online wellbeing website or portal and 25% use wellbeing champions. Only around one-third of employers train line managers to promote employee wellbeing.